SpringBoard is pleased to present a guest post by Harold Henderson, CG , a Trustee of the Board for Certification of Genealogists. Genealogists are often confused. It comes with the territory. We can’t always avoid it, but we would prefer not to wallow in it. Have you ever had a conversation (with yourself or someone else) that began something like this made-up one? I would like to find out if Joseph born about 1785 who married “unknown” is my fifth great-grandfather, or sixth. Who did Joseph marry? Who were the children? When and where were they born? Is Joseph the father or grandfather of my Jerome J. Jenkins, and if Joseph is not his father then who? And what about Jemima living in Joseph’s household in 1850? Is she his wife? To escape this confusion, we need to slow down. In particular, we need to ask one question at a time—and make that question specific. A good research question does two things. First, it identifies a unique individual. (Sometimes it might be a group or an event, but let’s keep it simple for now.) Second, it specifies what we want to learn about that individual. We can improve the question by working from the known to the unknown and leave the suppositious Joseph on the shelf for now. But even “Who is Jerome’s father?” doesn’t identify a unique individual. There are too many Jeromes. Better would be, “Who is the father of Jerome J. Jenkins who was born about 1832 in Kentucky and lived in Hamilton County, Ohio, in 1850?” This question identifies a specific individual (Jerome J. Jenkins) and the specific information we’re looking for (his father). It’s specific enough that we can measure a proposed answer against the Genealogical Proof Standard. find what role Jerome played in the Civil War (If he served, did his muster roll name a county of birth? Did he or any dependents apply for a pension?). look for Jerome in Hamilton County land records and start building a list of friends, associates, and neighbors who might lead back to Kentucky. And so forth, depending on what turns up in the process. Obviously any leads or contradictions (such as other census records saying he was born in Indiana instead of Kentucky) could redirect the search drastically. Thorough research for Jerome’s father will inevitably pull in more than just that relationship. When we pursue the answer to this one question, we find ourselves gathering information that answers other questions and even starting to fulfill our original naïve wish to learn “everything” about Joseph. And we’re sticking with our one question. We don’t start by googling a name and staring at dozens of probably irrelevant results.  We follow a strategy that could provide a firm foundation for the next question we ask. Seek specifically, and ye shall find abundantly! Genealogy Standards: 50th Anniversary Edition (Nashville, Tenn.: Turner Publishing, 2014), Standard 10, “Effective Research Questions,” 11–12. 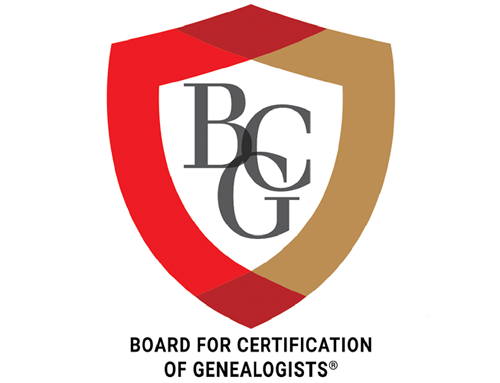 “The Genealogical Proof Standard,” Board for Certification of Genealogists (https://www.bcgcertification.org/resources/standard.html : viewed 22 January 2016).